A decade ago, pop-metal party icon, Andrew W.K. released his renowned debut album, ‘I Get Wet’. 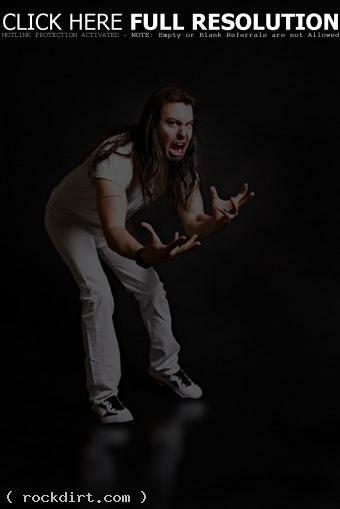 In honor of the album’s 10-year anniversary, Andrew W.K. has joined forces with Century Media Records for a special re-issue edition to be released on July 17, 2012. Even after all these years, I clearly remember the first day I heard the band Mayhem’s album, ‘De Mysteriis Dom Sathanas’. Its dark psychedelic sensations made me realize I had found a new destiny – and had found the greatest music ever made. When I turned that seminal Mayhem album over and looked at the fine-print on the back cover, I saw a bold and clear stamp bearing the name Century Media. Another wave of destiny washed over me and a new dream was born: that I, Andrew W.K., would somehow be part of this great label’s story of musical power and glory. This fantastic company was not only willing to be an active player in the most crucial and illuminating of the arts (aka music), but also was willing to submit themselves to the same higher calling which motivated their most dedicated and influential artists. It gives me great pride and pleasure to confirm that Century Media is the destined home for our special edition of ‘I Get Wet’. It also gives me proof that dreams not only come true, but that they make dreams into real power. Never in a million zillion years would I have imagined that the black wizards would use their cosmic keys to create a time for my humble musical dreams. The moon may be frozen, but its cold light is brighter than ever. Let my album’s release and all our collective efforts help shine an even brighter light on all of humanity, and to further prove that the manifestation is not just underway; it is complete. March 31, 2012 rockdirt News No Comments Andrew W.K.